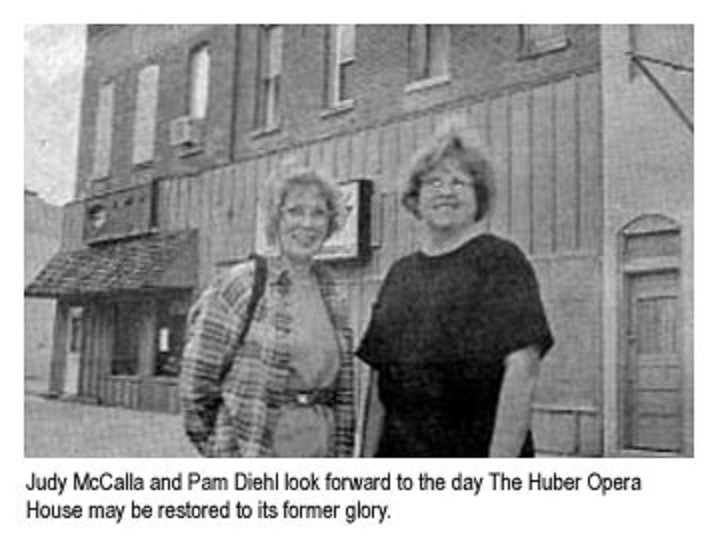 HUBER HISTORY – A Curtain Call for the Huber? With Some Help it COULD Happen! The large letters above its second-story windows are faded almost beyond visibility. The front of the building is in a sad state of neglect and to add insult to injury is painted a horrid pink color. But there was a time when this opera house was recognized as one of the best try-out theaters in the country. There was a time when famous entertainers visited. There was a time…. but that time was long ago. History has a way of repeating itself and Hicksville history certainly has that chance.